I have been working on Volkon’s face (and some of his arm and hair), but mainly his face. 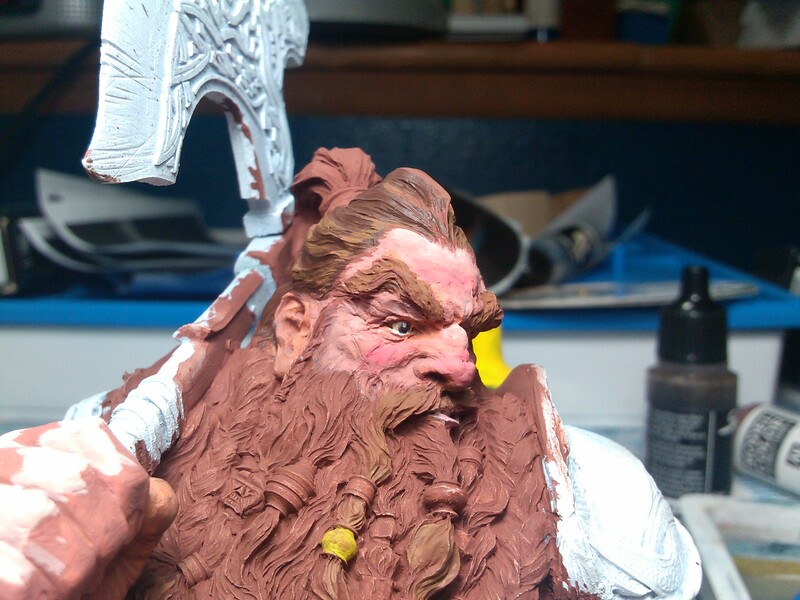 So far I am quite happy with the face. Very happy. Still work to do on it, but it is more done than not. 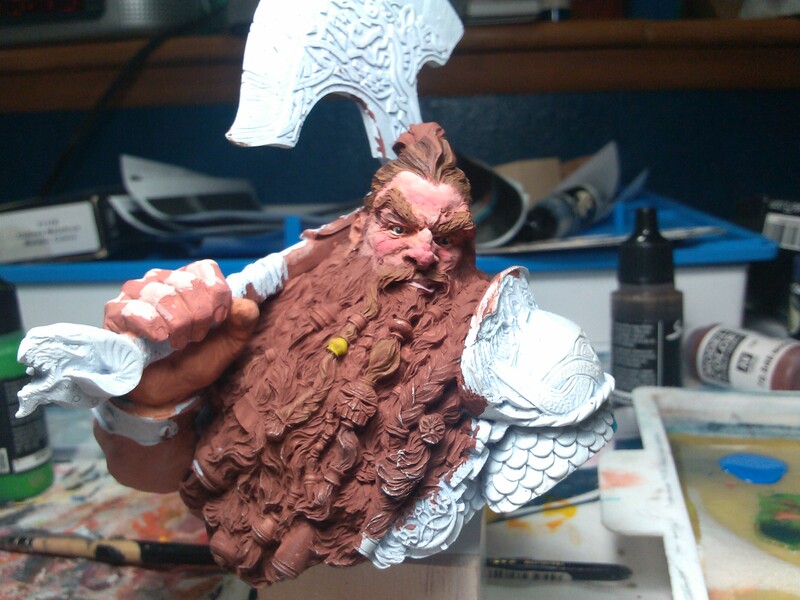 The arm needs a lot of work, but it will stay put probably until the beard is tackled. I will be working on it a couple hours tonight at Greeley Paint Group. Woooaah. Epic job on the face. I absolutely love the subtle colours in the skin giving him a….a….yup sat here for a while, don’t even know the word for the impression he’s given me. Something like flushed/weather beaten but that’s not quite it!!! Hahaha either way, he is coming along AMAZING. Can’t wait to see the progress on this one! Thanks so much! I hope to make good progress on the beard this Saturday.